Our beginners Arabic course is designed as a taster course to build the skills and confidence needed to speak and understand simple Arabic in predictable everyday situations. A range of audio-visual materials will be used to introduce topics and situations which a visitor to a Arabic-speaking country might typically find themselves in. The course aims to provide the basic language tools and vocabulary for you to ask for help or describe what you want, and to understand the gist of what you hear. You will be given lots of opportunity to practise basic conversational exchanges, to realise that making mistakes is all part of learning a language and that the ability to speak a little of a language can make a big difference to your overall experience. Continuation classes for those who want to progress (subject to enrolments). No prior knowledge necessary for beginner class. Our intermediate Arabic course is designed to explore a broader range of social interactions. We aim to develop the language skills needed to engage in more sustained conversations as well as reviewing the key language structures which make effective communication in Arabic possible. Practical focus on conversational Arabic, building the ability to sustain conversation on a wider range of topics, improving accuracy, fluency and building vocabulary. Aimed at students with an assumed practical knowledge of basic present and past grammar tenses. 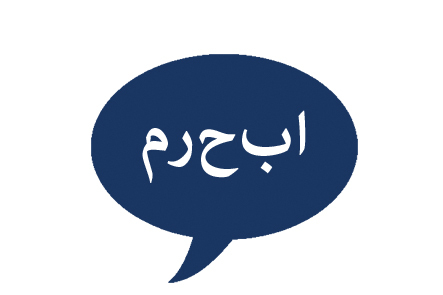 Students should be able to understand and respond to basic Arabic conversation. Simple texts such as news articles can already be read for gist.